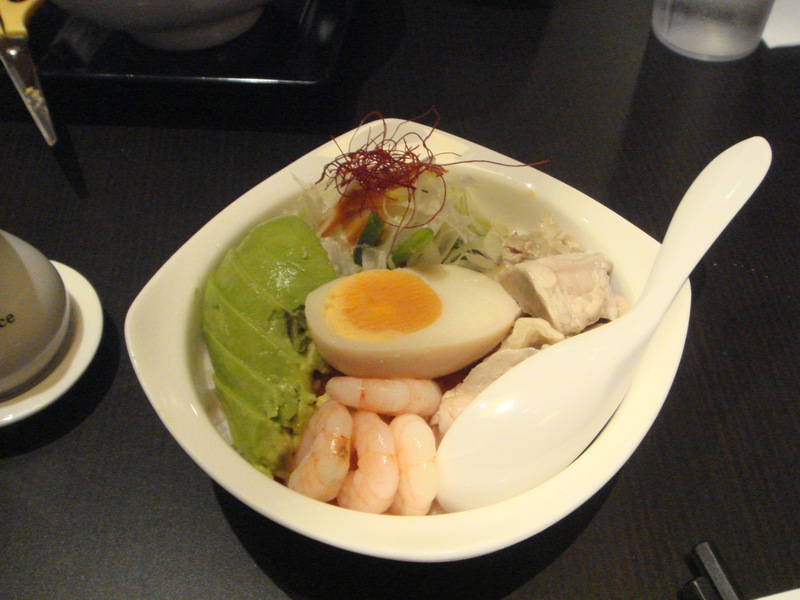 I love ramen – all kinds, from all regions. Imagine how I went berserk when I visited the Ramen Museum in Yokohama, Japan. The Ramen Musuem featured an old-Japan neighbourhood recreation, with your Glico man and Meiji confections and actors/actresses dressed in period costumes playing their roles as the inhabitants of this neighbourhood. But most important of all was the ramen stores represented over there – all regions and all types. Also on show is a musuem showcase of ramen making equipment past and present. Don’t forget to check out the ramen souvenirs on the way out. Now for some memorable Ramen I had over the years in Singapore. 45deg incline bowl with condiments on the side, candied centre braised egg, chicken (instead of chasiu), with liberal amount of leek and preserved vegetables in a prawn soup based. The special thing about this ramen was the prawn stock base. 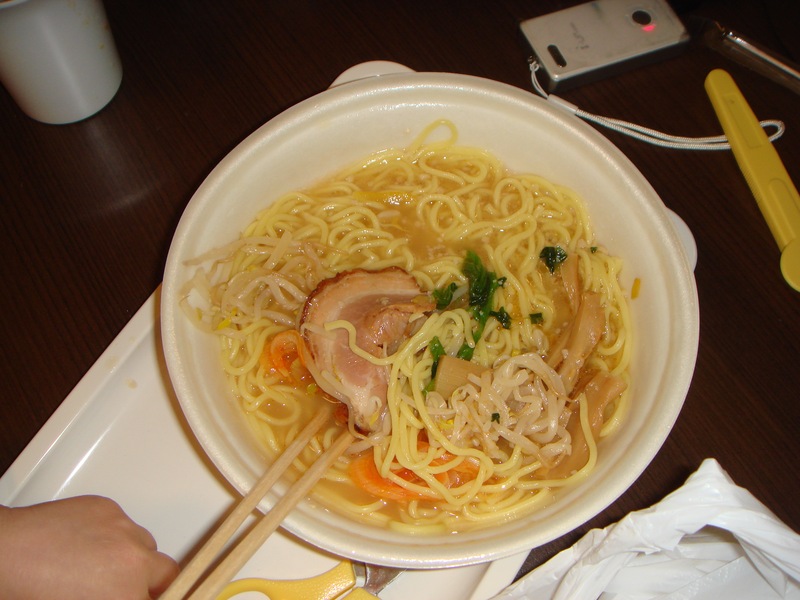 Most ramen are pork stock based, either pork bone or other parts of the pig boiled and double boiled. A few used vegetable and chicken, this is the only one I knew that used prawn. But it did not turned out to be your Hokkien Prawn Noodle. 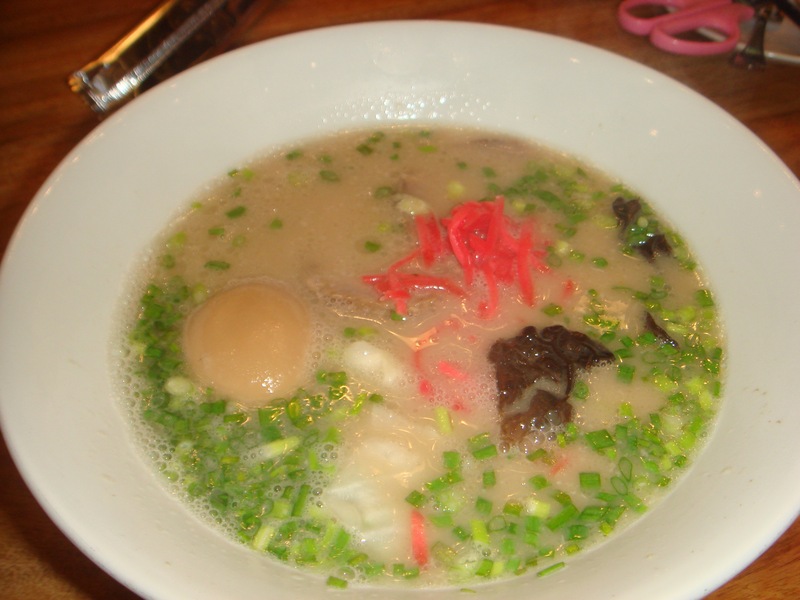 The technique was stricly rooted in ramen tradition – soup, noodle, chashu, egg and vegetable all prepared separately and then combined together in perfect harmony. Child portion of prawn with rice drenched with the braised chicken stock, a good addition to the ramen. 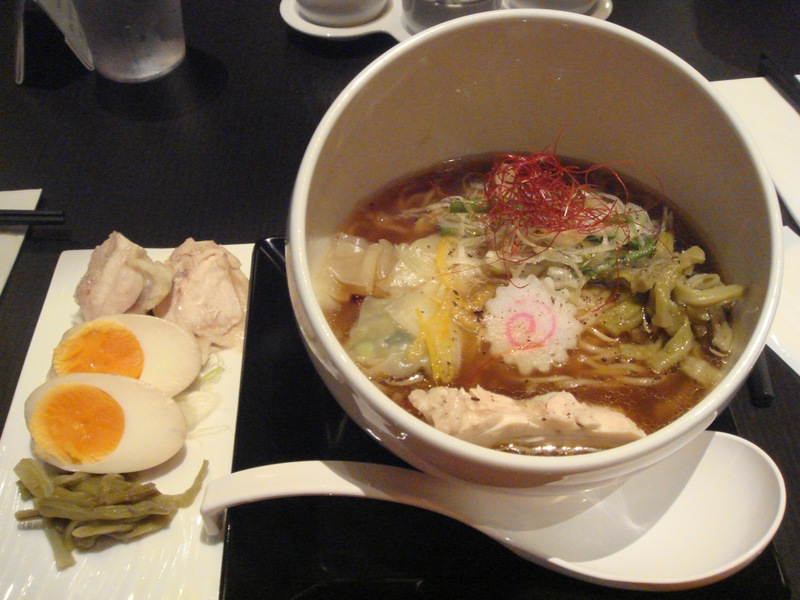 Very special and good ramen, and it is a pity that it is now no longer available in Singapore. Ippudo is unique as it has one of poshest decor for a ramen store. Usually you sit in a school tuckshop type bench with 2 on each side. This place featured large tables with uncomfortable seats. And a black chandelier in the dining hall. How’s the ramen? Tasty, and you can refill the noodles as long as you have soup in the bowl. Good for big eaters like me. Of course you get the run of the mill instant ramen from Japan. And I could not resist to try them when I was in Japan. 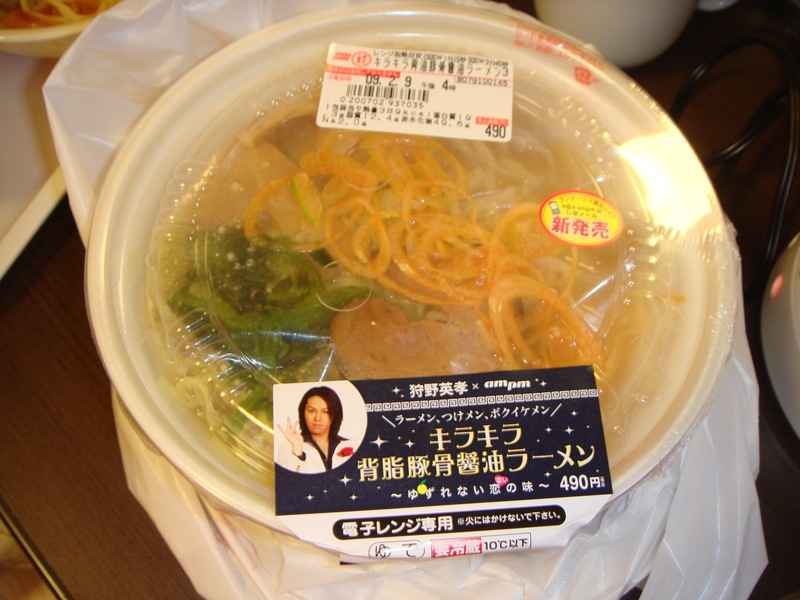 But one type from Lawson featured real ramen stock pack with preboiled noodles that you reconstruct. You pick this from the chiller and pop into the microwave. The noodles and soup pack are then heated up and you put the condiments into the mix. Note the advertisment on the front. The man is not a J-pop star but a top male hostess in Kabuki. A hot bowl of ramen just like the type you get in the restaurant. And the spring onions were included in the pack as well. Will try again when I am back in Japan.